Maxie grew up in “upstate” New York, where he called Pughkeepsie, NY home. Having spent the majority of his Army career from 1969-1971 in Germany, Maxie credits the military with teaching him “discipline” and “how to survive”. Family relationship problems led to his encounter with homelessness, and a referral by the Veterans Administration (VA) brought a connection with Homes of Light transitional housing. 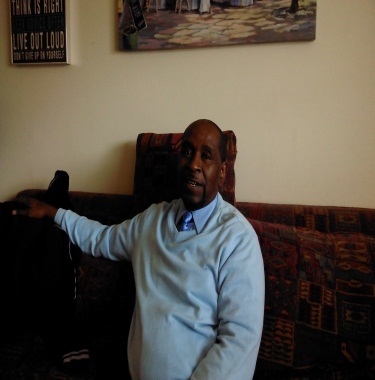 Maxie credits the direct involvement of Homes of Light Executive Director, Gil R. as a vital part of his successful transition from transitional housing to permanent housing. “Thank God I was positioned to be with Gil. He is hopeful that he will get a part-time job in the near future to fill the gaps in his needs.